Plastic is everywhere in our daily lives, and has spilled over into our oceans, waterways and even our food. 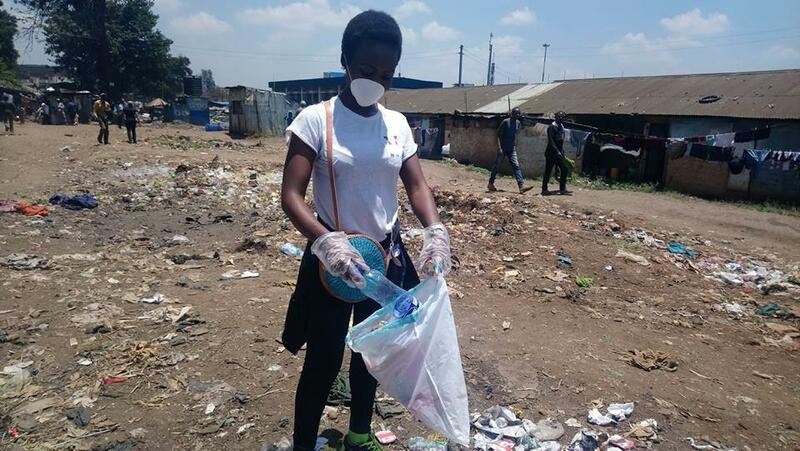 But Africa cannot stomach any more plastic and the overproduction of single-use plastic must end. Only together we can stop it. We’re calling on corporations to stop fuelling throwaway culture with single-use plastics, and for governments to hold them accountable. Plastic pollution is a crisis and we must take real action to tackle this crisis. A growing movement is urging fast-food chains, restaurants and shops to lead by no longer offering customers single-use plastic. Don’t underestimate the power in your hands - you can start with your local supermarket, and ask them to change today. It is high time we #BreakFreeFromPlastic. Sign up here, your voice will send a message that it’s time to change. Amplify our message that corporates should stop producing single-use plastics. Watch and share this video of one of our activists who had Ocean Basket sweating. A vibrant movement is urging fast-food chains, restaurants and cafes to lead by no longer offering their customers single-use plastic. You too can follow suit! Your contribution helps us fight against single-use plastics. And supports our work in defending the planet.